Is it a bird? Is it a plane?…………. The sight of 400 people dashing along Hove seafront with their pants over their tights this Sunday would ordinarily be cause for alarm… but fear not – it’s the 2018 Hero’s Run in aid of RISE! 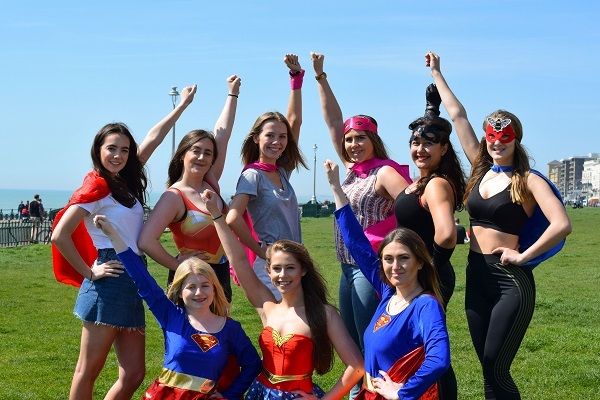 People from around Sussex will come together on Sunday 13th May, decked out in their favourite superhero garb, to raise money for local domestic abuse charity RISE. 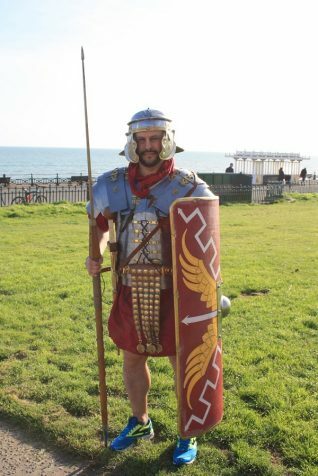 Among the Wonderwomen and Supermen will be the Sussex Swallows (the cheer-squad from the University of Sussex) and a Roman soldier in a full replica legionary kit weighing 15kg. 10am on Sunday 13th May 2018 at Hove Lawns by the Lawn Cafe. There are fantastic prizes, including a signed Brighton & Hove Albion football shirt, a bouldering session for two and a ghost walk, for the winner of each race, as well as prizes for the best fancy dress, best fundraiser and best group costume. We are also in need of superhero volunteers to help with runner registration, stewarding and staffing the water station, so if you can lend a hand please contact RISE on fundraising@riseuk.org.uk.